Wheelman - Signal. Vinyl LP. Bleep. 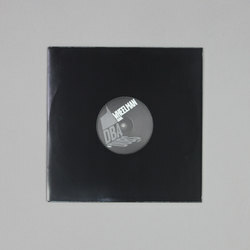 Succeeding releases on Huntleys & Palmers, Studio Barnhus and his very own Stereotone label, the Glasgow based producer Wheelman drops Signal EP on DBA’s Dubs series. With a remix from Detroit In Effect on the flipside, Wheelman’s offering demonstrates his most accomplished production effort thus far; shades of broken beat weirdness battle against sputtering rattles, shaken claps and oddly mechanical crunching samples. Brief drum and bass interludes disrupt the trajectory of what would otherwise be a relatively minimal and laidback house affair. Detroit In Effect crank the mood up a gear, increasing the tempo and applying a large dosage of their signature acid electro bleeps and drum samples. Both tracks guarantee to impress in a club environment.